For two nights only, Jazz Week Top-50 artist, Eugenie Jones will perform at Baur’s Listening Lounge. 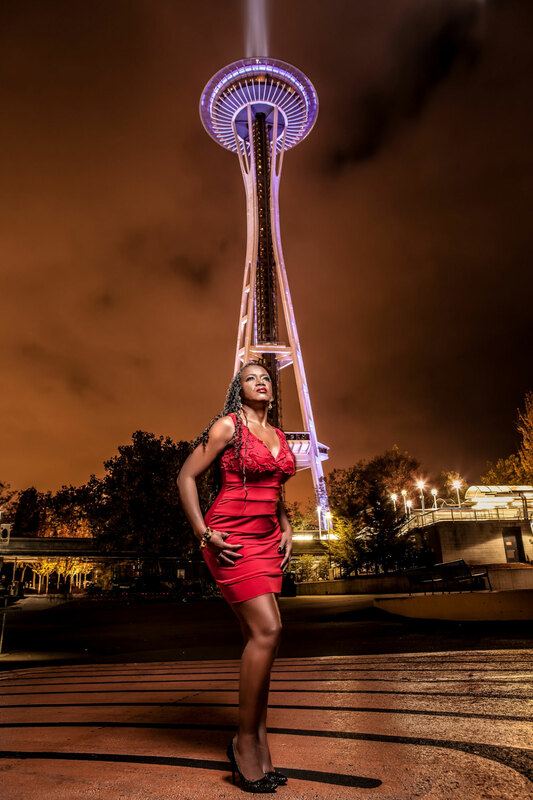 Based in the Seattle-area, Jones is the recipient of the coveted NW Vocalist of the Year and Recording of the Year award. Favorably reviewed by multiple media sources, including jazz industry standard Down Beat, Jones is distinguished as an exceptional vocalist and gifted lyricist. Music Appreciation Society and KUVO invite you, friends and family to a night of emotive, engaging classic and contemporary jazz with this unique vocalist. Reminiscent in style and sophistication of iconic vocalists of the past, Jones classically performs mainstream jazz, but also brings listeners inside contemporary themes by sharing original tunes that have earned her recognition as a cleverly gifted lyricist. “In that overcrowded arena known as “female jazz singers”, Seattle-based Eugenie Jones manages to stand apart from the crowd. Ms. Jones has filled both of her outstanding albums with her own engaging compositions. This fact alone differentiates her as she is one of the very few African-American women singer-songwriters in jazz today” (C. Davenport, Curt’s Jazz). Now as a national recording artist, Jones has self-produced two primarily original vocal jazz projects that have made onto Jazz Week Review Top-50 list, been favorably reviewed by Down Beat and numerous industry critics, maintained #1 spots on CMJ charts, made many critics “Best of” lists and have been the foundation for sold out performances from Washington, DC to Seattle, WA. Join us for one or both nights and you won’t be disappointed. Eugenie Jones has soul , class and a smooth and confident voice. Whether you’re a jazz lover or new to the genre, this performance is sure to leave a lasting impression.